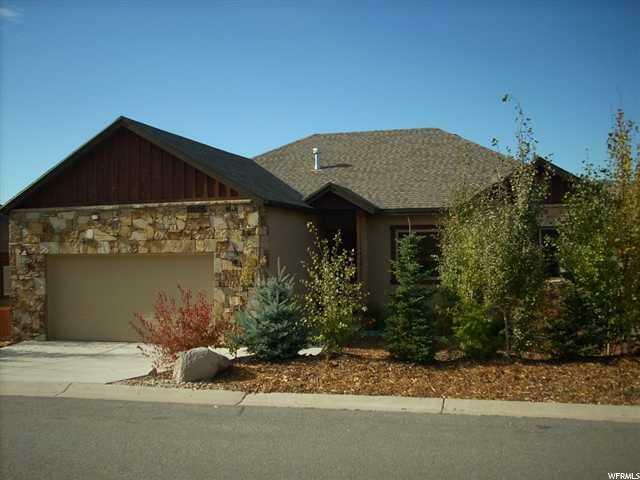 All DEER MOUNTAIN homes currently listed for sale in Heber City as of 04/22/2019 are shown below. You can change the search criteria at any time by pressing the 'Change Search' button below. "Front row views from this light-filled custom home. Not the typical cookie cutter, this custom plan includes premium finishes and fixtures. Granite and travertine baths, hardwood, slate and travertine floors; alder base, case & doors--NO paint-grade finishes; 7-foot doors, premium appliances (Thermador/Subzero fridge, Franke sink); 9+ foot ceilings, granite and marble tops throughout; Pella windows/sliding doors; master plus 2 guest bedrooms on main; Lower level with 2 bedrooms, HUGE family room plus additional theater/flex/bonus room and lower deck."